I love macarons! I took a baking class at Sur La Table to learn how to make them and it's quite tricky. I was so excited to see that TJ's now sells this gourmet treat in their freezer section! 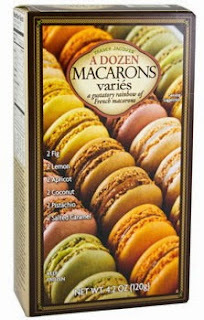 My local macaron store sells one macaron for $2.50 but at TJ's you can get a dozen for $5! It comes in 6 flavors: Fig, Lemon, Apricot, Coconut, Pistachio, and Salted Caramel. I've definitely been enjoying this tasty treat! Eight years ago my co-worker invited me to visit her country of Peru with her. Machu Picchu was amazing and the food was good too. 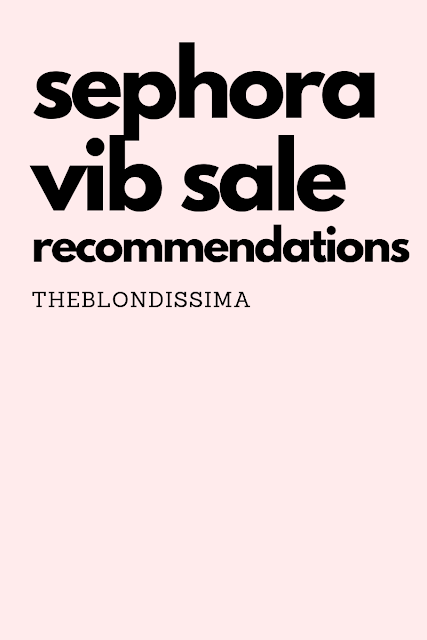 I'm still always on the hunt for authentic Pisco Sours (a cocktail made with egg whites) or Chicha Morada (purple corn juice). 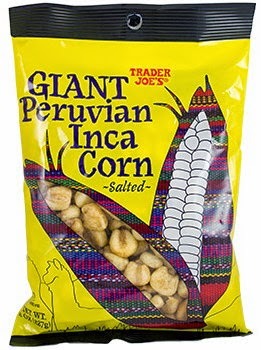 TJ's Giant Peruvian Inca Corn is compared to corn nuts which I've never had so I'll say the taste is similar to Fritos. On first bite I thought I might break my teeth on these too hard kernels, but then I got addicted to them. If you like salty snacks, this is for you. 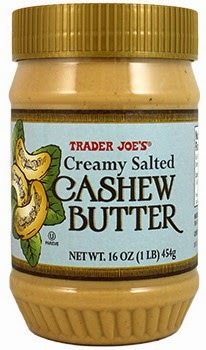 Cashews are my favorite nut, I eat them everyday as my snack at work. I buy the individual serving packets from TJs. So I was super excited to get my hands on their cashew butter which retails for $7. After my trip to Spain, I've become addicted to Spanish cheese! 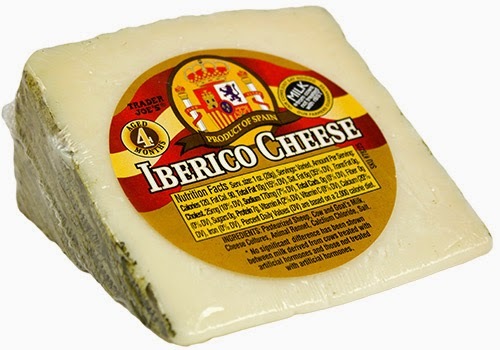 Iberico is a hard cheese and a mixture of cow's, sheep's and goat's milk. It's similar to manchego cheese. 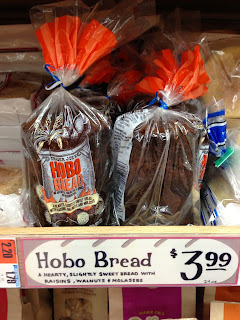 Hobo Bread is called such because hobos made it during The Great Depression. They'd cook it in old tin cans, hence the cylindrical, tube-like formation. 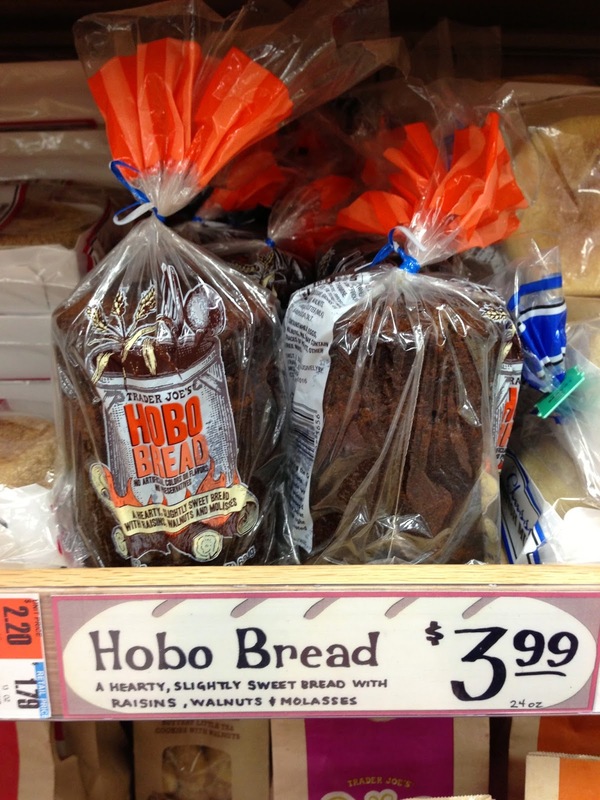 For $3 you get a moist dense bread filled with raisins, walnuts, brown sugar, and molasses. Fresh Apricots which I've been using all week in my oatmeal for breakfast. 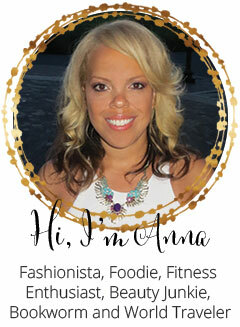 I also make apricot popsicles from them. I find it hard to find in my regular grocery store, they only seem to have the dried ones, but I can always count on TJ's to have them fresh.